Sky to demo 3D TV at Westfield in London | What Hi-Fi? The Westfield demo is the first of more than 100 shopping centre 3D TV "experiences" being planned around the UK. It will showcase a selection of 3D content Sky has filmed over the last two years, including footage from last month's Burberry London Fashion Week show. Shoppers will be given polarising 3D glasses to view the demo, which also includes the world's first live sports 3D TV broadcast – Arsenal vs Manchester United – as well as tennis, golf, boxing, ballet movies and live music. Sky's existing Sky+ HD set-top boxes are already equipped to receive the 3D channel, but customers will need to buy a 3D-capable TV. Sky 3D TV will be compatible with all forthcoming 3D-Ready TVs – both active and passive types – including models from Sony, Samsung, LG and Panasonic. Every visitor to the demo in Westfield will have the opportunity to register for a competition to win a 3D TV, Sky+ HD box and subscription to Sky's top channel and HD packs. 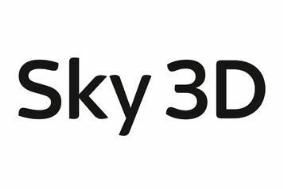 For more information on Sky 3D, visit the company's website.